February. With the snow back I wanted a cozy tale. Travel with this novel to the Florence of Botticelli as he meets the title character who becomes his muse and more. Explore the Italian Renaissance alongside Simonetta who loves learning and poetry yet must decide on a husband and how to play the political power scene in the Medici court. Palombo brings historic research to life with interesting characters and relationships that will not let you look at "The Birth of Venus" as you did before. Let these pages take you to Italy where you can bask in the warmth of fine phrases in this delightful read. Ciao! 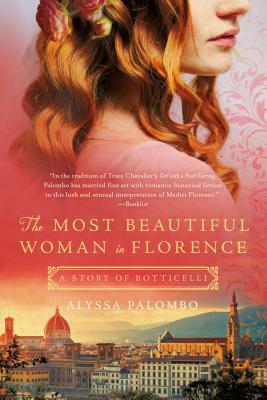 ALYSSA PALOMBO is the author of The Violinist of Venice, The Most Beautiful Woman in Florence, and The Spellbook of Katrina Van Tassel. She is a recent graduate of Canisius College with degrees in English and creative writing, respectively. A passionate music lover, she is a classically trained musician as well as a big fan of heavy metal. When not writing, she can be found reading, hanging out with her friends, traveling, or planning for next Halloween. She lives in Buffalo, New York, where she is always at work on a new novel.